As we know Wikipedia is a free encyclopedia and is edited by people across the world throughout the Day. 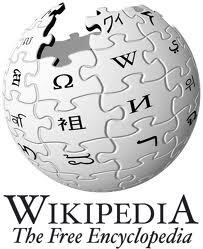 With Wikipedia I have gained lot of knowledge about people, places, country, history, etc. that too free without any susbscription or login. I hope you now that anybody can create or edit pages (article) on Wikipedia free by creating login ID on Wikpedia portal. How to find out when a Wikipedia article was created? 2. Now click 'Page Information' link under Toolbox in left pane. 3. Now scroll and see 'Date of page creation' under section: Edit History. Along with page creation date, you can also find out the orignal creater of the page and latest page editor under Edit History section. Please find below other information you would get to know from Edit History section in a table, below statics are specfic to India page on Wikiepdia. Note: You do NOT require to login to Wikipedia portal or require login credentials to access this information, it's all free.